With hot weather on the horizon everyone is in need that perfect summer reading—something light and entertaining, yet heavy enough to hold down your towel while at the beach. Of course, your summer reading doesn’t have to be something trashy that you don’t mind getting wet—there are plenty of good novels that you won’t have to stash away in fear of someone catching you reading them. These are some of my favourite contemporary and classic novels, all of which are by authors who have been awarded the Nobel Prize for Literature, and are perfect for the beach, bus or cafe. 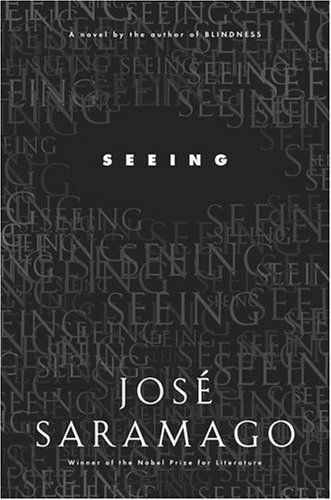 If political satire is your thing, don’t hesitate to pick up Jose Saramago’s Seeing, the aptly named sequel to his highly-acclaimed novel Blindness. Seeing is both difficult and immensely rewarding, one I never hesitate to recommend. Saramago’s unique style—pages of run on sentences and un-paragraphed dialogue—can at times be frustrating, but the rewards are worth it, as it is punctuated with humour, honesty and vigorous prose. This sequel does not require having read (or seen) Blindness first, and I would argue this masterpiece rivals the first for its poignant and satirical approach to politics. Seeing takes place four years following the plague of blindness on a seemingly ordinary voting day. However, once tallied, it appears that 83% of voters turned in blank ballots, and political mayhem ensues. A police superintendent is sent to seek out the woman who kept her sight during the plague on the pretext that the “plague of white blindness and plague of blank ballots” may be related. Perhaps most striking about Saramago’s work is the changing viewpoint, as the reader traverses the grim realm of politics to the empathetic view of the police superintendent. This novel is written with heartbreaking simplicity and wit and shouldn’t be passed up. Drop that trashy romance and pick up Love in the Time of Cholera by Gabriel Garcia Marquez. Set in the Caribbean coast of South America, this heart-wrenching tale of love and romance juxtaposes the sacredness and timelessness of true love against the societal pressures which act against the will of the heart. In this novel, love becomes an aspect of everyday existence, yet remains far from ordinary. Florentino Ariza in his long-frock coat and air of melancholy conjures up the romanticism of earlier eras and the object of his affection, Fermina Daza, whose aloof and more practical approach to the matters of the heart place these characters in sharp opposition to one another. The vibrancy of Marquez’s characters is augmented by the fifty years, nine months and four days that Florentino must wait before he can openly declare his love for Fermina once again. The movie version of this novel is very close to the original, but even if you have seen the flick don’t pass up the chance to read this epic romance, one of the great masterpieces of modern literature written by one of my favourite authors. If you’re looking for a short, easy and adventuresome read, pick up Hemingway’s The Old Man and the Sea. This classic novella played a large role in Hemingway’s receipt of the Nobel Prize for Literature for "his mastery of the art of narrative...and for the influence he has exerted on contemporary style". Hemingway’s writing is famous for being short, simple and yet powerful, and this novel is an exemplary demonstration of the style which made him one of the most famous contemporary writers of our time. The novel traverses the tale of Santiago, an old fisherman who has not caught a fish in eighty-four days. However, Santiago’s fate is about to change; what begins as another day in his small skiff on the Gulf Stream turns into a battle with a giant Marlin—the largest catch of his life. Hemingway’s poignant depiction of Santiago’s lonely struggles with the fish, the sea and his own fears culminate in a character impossible not to empathize with and as a result, a book impossible not to love. « Packing for Backpacking - What is Really Essential? I entered this story in the 'One Book, Many Brisbanes' competition last year. The final draft was done on a work computer that I no longer have access to; this is as close as I have to that completed version. Enjoy if you please. A corpse is discovered in Ultimo, leading investigators after a diseased killer with sickening tastes.